Are you unhappy with the shape, size, length, or color of your teeth? With porcelain veneers, you have the power to alter the appearance of your smile. Our skilled team of professionals design custom veneers to turn your dream smile into a reality. Contact our office to schedule your consultation! Veneers are thin porcelain shells that we permanently bond to the front side of your teeth. They are handcrafted to fit your preferences and smile goals to help you achieve a flawless-looking smile. The veneers procedure takes place in two parts. First, we’ll use smile preview software to map out your new smile. Then, we’ll prep your teeth by removing a layer of enamel. This step ensures that your veneers are flush with your natural teeth and fit securely. Once your teeth are prepared, we’ll place temporary shells over them while an off-site lab makes your permanent veneers. 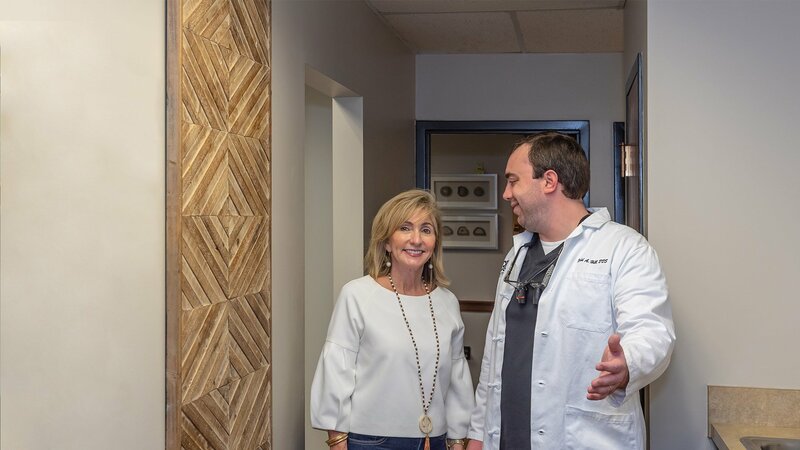 When your veneers are delivered to our office, you’ll come in for your second appointment and we’ll bond your new veneers to your teeth and check the fit. The overall cost of your veneers depends on the number of teeth that you decide to cover. When you visit our office for a consultation, we’ll go over your dental health, discuss your smile goals, perform an exam, and then provide you with an accurate cost estimate based on your specific case. We’ll also walk you through our financial options and do our best to help you fit your dream smile into your budget. Questions? Call our office and one of our knowledgeable team members would be happy to speak with you!